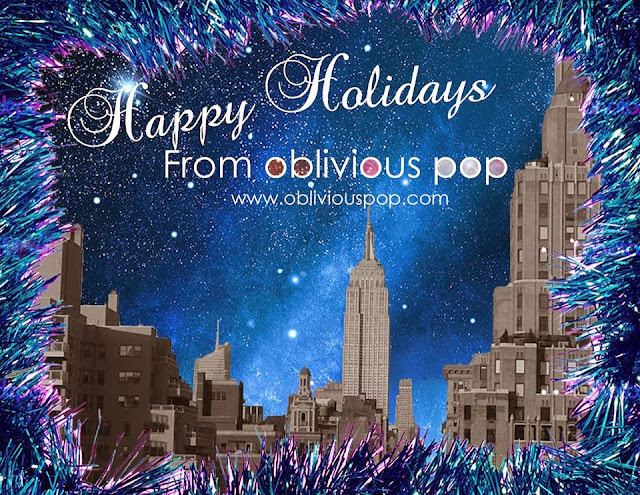 We're happy to announce today about out future plans for Oblivious Pop. Oblivious Pop will be making the journey to Europe this Spring. During our time there we will be exploring the music scene over there, working to bring you new and upcoming artists for your listening pleasure. Along with this comes our biggest announcement yet. Oblivious Pop is working on booking a London showcase featuring artist from the U.K. In order to make this possible, we launched our Indiegogo campaign to help raise funds to make this the best show we can. If you're interested in donating or for more information, please click on the widget below to go to the official Indigogo campaign site. From there you can check out our perks for donating and be part of something special. We greatly appreciate any help. Stay tuned for further updates on the showcase. Hope you have a happy and safe holiday season!